PRESS RELEASE: Following the successful launch of DJ MIX TOOLS, LOOPMASTERS are proud to announce the next series of mixtools packs to be released including TECH HOUSE, GROOVE TECH, TRANCE, DUBSTEP and BUILDS & BREAKDOWNS! DJ MIXTOOLS from LOOPMASTERS are a brand new concept for forward-thinking DJs and live artists. Imagine buying a track but then being able to separate that track into its key elements and having ROYALTY FREE access to remix, effect, chop and loop the parts in your own individual style to create an exciting and refreshing new mix… welcome to the world of DJ MIXTOOLS. Created by some of the most respected producers from a wide-range of genres DJ each DJ MIXTOOL package is broken down into long 'progressive' mix stems including drum grooves, percussion tops, synths, basslines as well as effect builds, breakdowns and drops,professionally mastered using state of the art analogue EQ and compression and limiting ready to mix into your decks and computer DJ sets. DJ MIXTOOLS offer new and exciting possibilities for studio production and live performance. These tools give a DJ the ability to essentially remix live and the product raises the bar for tools a DJ has at his disposal to work a crowd. As mentioned all loops and samples provided are presented 'royalty free' which means that for the first time ever DJs can mix and produce live sets which they are also legally entitled to release as their own without any copyright issues or clearance problems. 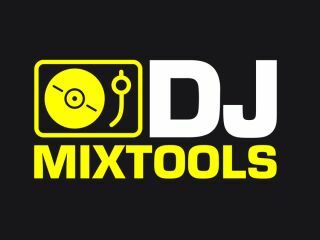 Each pack of four DJ Mixtools will retail at £14.95 whilst individual 'tracks' are available from dj tools section of Beatport.com at £4.95.